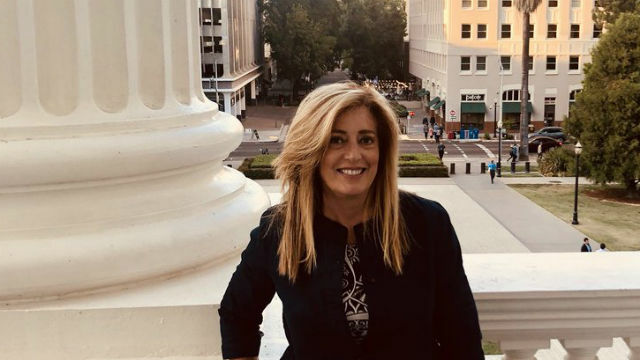 The Republican caucus in the state Assembly unanimously selected Marie Waldron from Escondido on Thursday as their next leader. Waldron joins state Senate President Toni Atkins and Majority Whip Todd Gloria, both Democrats, in increasing the San Diego area’s clout in the state legislature. The small business owner and former Escondido City Councilmember, who was first elected to the Assembly in 2012, represents the 75th District in north San Diego and south Riverside counties. Her promotion from the post of minority floor leader came after a successful re-election on Tuesday with 58.8 percent of the vote. She succeeds Brian Dahle from District 1 in the far northeast corner of the state. Waldron has a reputation as a conservative who knows how to work across the aisle. “I look forward to continuing the fight to articulate conservative principles in a way that resonates with everyday Californians,” she said.